Military Archives - Truth or Fiction? 72 People Killed Resisting Gun Confiscation by National Guard in Boston-Fiction! A satirical article of 1995 recasts the outbreak of the American Revolutionary War to make a point about gun rights, stating that 72 People Killed Resisting Gun Confiscation by National Guard. Slaughterbots Video Shows Future of Autonomous Drone Weaponry-Fiction! A video called "Slaughterbots" about autonomous drone weaponry is real — it was intended to raise awareness about the potential of drone weaponry by a group that's opposed to it. Myeshia Johnson "Setting the Record Straight" Facebook Post About Husband's Death-Fiction! Myeshia Johnson didn't accuse U.S. Rep. Frederica Wilson of using her husband's death as a political platform in a Facebook post called "Setting the Record Straight." "Goodbye Petty Officer 2nd Class Janaye Ervin" After National Anthem Protest-Fiction! A commentary titled "Goodbye Janaye Ervin" lists the punishment the former Petty Officer 2nd Class suffered for refusing to salute the flag. 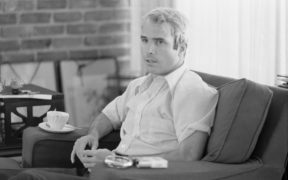 False claims that John McCain started the USS Forrestal fire that killed 134 sailers resurfaced on the tragedy's 50th anniversary. Trey Gowdy on Transgender Ban: Nobody Has Right to Serve in Military-Incorrect Attribution! After President Trump announced a transgender military ban, comments that "nobody has a right to serve" were incorrectly attributed to Trey Gowdy. False claims that President Nixon pardoned John McCain after he was convicted of treason are based on earlier, false rumors. "John Is My Heart" Essay Written By Frank Schaeffer for the Washington Post-Correct Attribution! 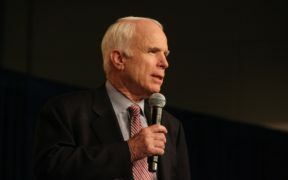 Frank Schaeffer's 2002 essay "John is My Heart," also known as "My Heart is on the Line," has been widely circulated since it was first published by the Washington Post in 2002. New York Pizzeria Denies Service to Veteran John Welch, His Service Dog-Fiction! A photo showing an extra from the set of "Madam Secretary" was misidentified as a servicemember named John Welch who was denied service at a pizzeria.